Wrist watches come in all shapes and sizes. Some are dressier and are more jewelry than time piece. Others, like scuba diving wrist watches, have more specialized functions. For most of us, a nice looking wrist watch that keeps accurate time is all we want. They all need care and maintenance for long life and reliability. 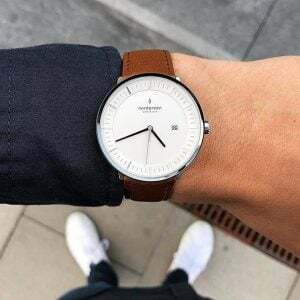 What kind of wrist watch do you have? • Today, mechanical wrist watches are considered high-end wrist watches. They contain hundreds of tiny moving parts. Jewels are used to reduce friction in gears. Often real rubies or synthetic rubies are used. All these moving parts are finely tuned and lubricated with special oils to reduce friction. Movement is powered either by spring tension or battery. • All mechanical wrist watches lose some time. The higher end precision wrist watches less than others. The time loss is minimal, modern certified mechanical wrist watches are accurate to within 1 to 3 seconds per day. • Electronic quartz wrist watches use vibrations of a tiny crystal which vibrates at a specific frequency when the proper current is applied. Power can be supplied either from batteries or solar energy. 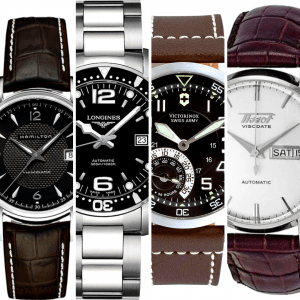 How often to service your wrist watch? 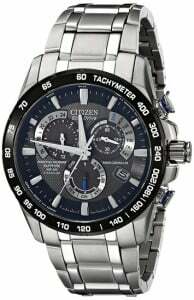 • All watches need periodic service and cleaning. 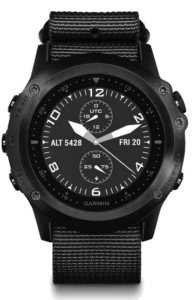 The only exception would be if you have an inexpensive electronic digital watch with few moving parts, which would cost less to replace than to service. • The hundreds of moving parts in a watch are lubricated with specialty oils. These oils will break down over time and use, just as the oil in your car. • Waterproof scuba wrist watches will keep dust and dirt out of your wrist watch in addition to the water. Scuba wrist watches are minimally rated for 30 meters (about 99ft). The higher the rating the better the protection. 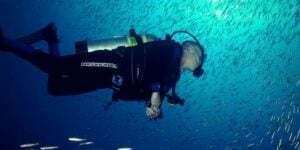 Even if you do not scuba dive, a wrist watch rated at 30 meters or 50 meters will get less dirt and dust from normal daily use. 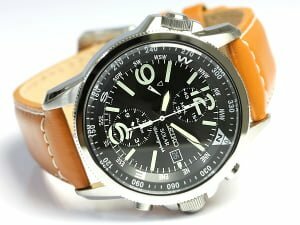 • Even sealed waterproof wrist watches are not immune to dust and dirt in the working mechanisms of the wrist watch. Plus, the oil will break down from the constant wear and tear of the internal wrist watch movement. • It is best to service a watch before it stops working. For today’s most common use wrist watches, plan to service every 3 to 5 years. If you put your wrist watch through harsh conditions, as say a scuba wrist watch, consider servicing once a year, or every time you get your scuba gear serviced. 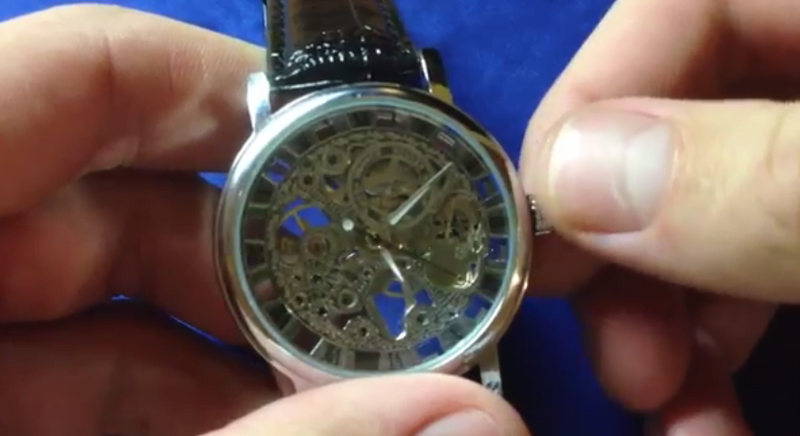 How often should you wind a mechanical wrist watch? • Spring tension mechanical wrist watches should be wound at the same time each day. • Most common watches have a cushion of 40 to 70 hours, so if you wind it every 24 hours, your wrist watch should never stop or lose time. Some high end mechanical wrist watches can go several days to a week without winding. • It is best to wind your wrist watch in the morning every day. This provides the most spring tension during your most active hours. • It is best to remove your wrist watch to wind it. This puts less side pressure on the winding stem and bearings. It does not happen often, but these parts can be bent or otherwise damaged. • Wind your wrist watch slowly and only until you feel greater tension. Over winding, can damage the spring mechanism. • Do not wind your wrist watch more than once per day. 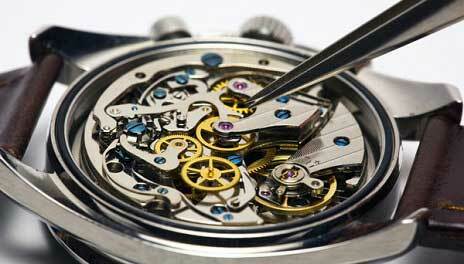 Winding too often will cause greater wear and tear on all moving watch parts. 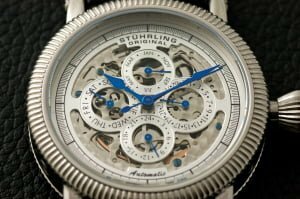 • Automatic winding wrist watches should not need daily winding. However, if your wrist watch is sitting unused or idle for too long, it can wind down. If it has a winding button, just wind it as a standard mechanical wrist watch or about 30 to 40 turns. If it does not have a winding pin, try swinging the wrist watch around for a bit until it starts to operate. You can also check out automatic watch winders if you do not have the time to manually wind up your watch. Choose from some of the best watch winder brands available currently. Does your wrist watch have a date and time function? • Most wrist watches today come with date and time functions. • In wrist watches with winding pins, there are typically 3 positions—all the way in for winding, out one notch to set the day and all the way out to set the date. These settings will vary with each wrist watch, so be sure to read the instructions before operating. • It is advised to not set the date functions between 10pm and 2am as this can cause mechanical problems and potentially damage your wrist watch. All faces are not the same. • Wrist watch faces are not all the same. • Crystalized sapphire is the most scratch resistant, it is very hard to scratch. However, it is also the most brittle. It can shatter if hit by a hard object. If it is in any way damaged, there is no repair, it needs to be replaced. • Mineral crystal face is scratch resistant and a bit less expensive than the sapphire. If it does get scratched, it will need to be replaced. • Acrylic faces are less likely to shatter or break, but can get scratches. If the scratches are not too deep, try a polishing agent like Brasso. Rub in with a soft cloth in a circular motion for best results. 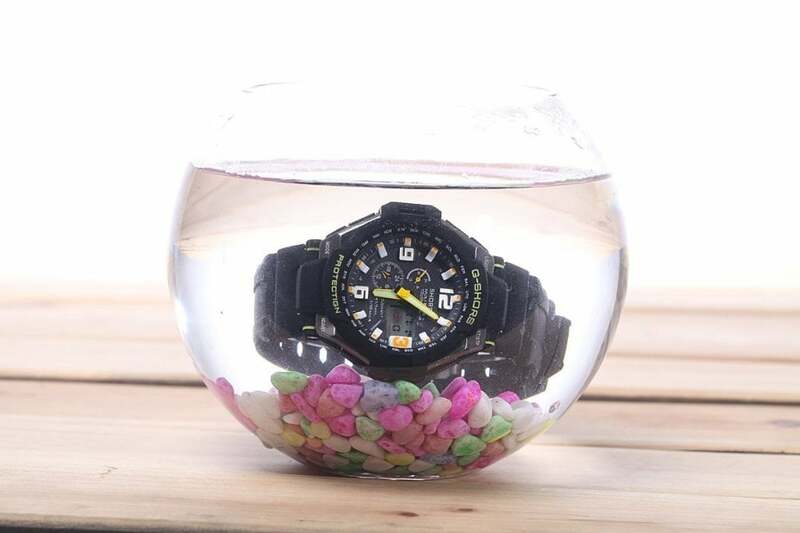 How waterproof is my waterproof wrist watch? 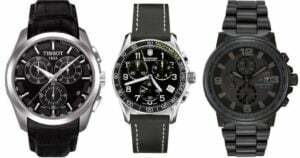 • Most wrist watches today are advertised as waterproof. • If the rating is not shown, or is 20 meters or less, the wrist watch is safe around normal everyday contact with water. Washing your hands, dishes or getting wet in the rain are all ok.
• If it is rated to 20 meters or about 63 feet, you should be able to swim at the surface in a pool, lake or ocean. 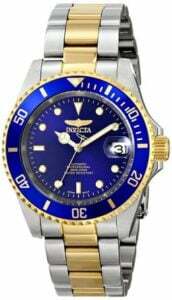 • Scuba wrist watches should be minimally rated at 50 meters or 164 feet. The higher the rating, the less likely you will have failure at minimal depths. • All wrist watches should be thoroughly rinsed after swimming in a pool or ocean to remove any residual chlorine or salt; both of which can be damaging to your wrist watch. What to do if my wrist watch gets magnetized? • Wrist watches are made of hundreds of moving metallic parts. 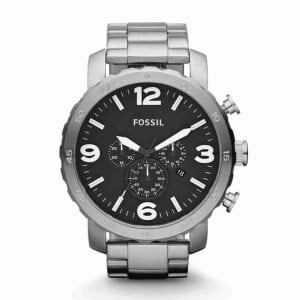 As with most metals, they can become magnetized causing your wrist watch to malfunction. • The most common problem for a magnetized wrist watch is to run fast. • If your wrist watch continually runs fast, try holding a small compass close to your wrist watch. If the compass needle starts to vibrate or shake, your wrist watch is magnetized. • Your wrist watch can become magnetized as easily as setting it on a speaker or refrigerator. Try to keep it away for electronic equipment. • Demagnetizer’s are available today for a reasonable price. They work similar to the demagnetizers you see at store checkout counters. If you are uncomfortable with this, take your wrist watch to a jeweler. This may be necessary in any case to recalibrate your wrist watch. Your wrist watch is always there and works with little or no fuss until it suddenly stops. You can avoid these sudden nuisances by following this complete guide to taking care of your wrist watch.